If you have been injured by a drunk driver or lost a loved one in a drunk driving crash, you have a right to pursue compensation for what you and your family have been put through. Our attorneys are here to help. The North Carolina Department of Transportation (NCDOT) reports that there were 77 alcohol-related fatal traffic crashes with a BAC of .08-.14 and 164 drunk driving traffic fatalities with a BAC of greater than .15. Of those drunk driving crashes, 1,591 had non-fatal injuries. The Center for Disease Control and Prevention (CDC) reports that 10,497 people lost their lives in alcohol-related crashes, which accounted for 28% of all traffic-related deaths that year. 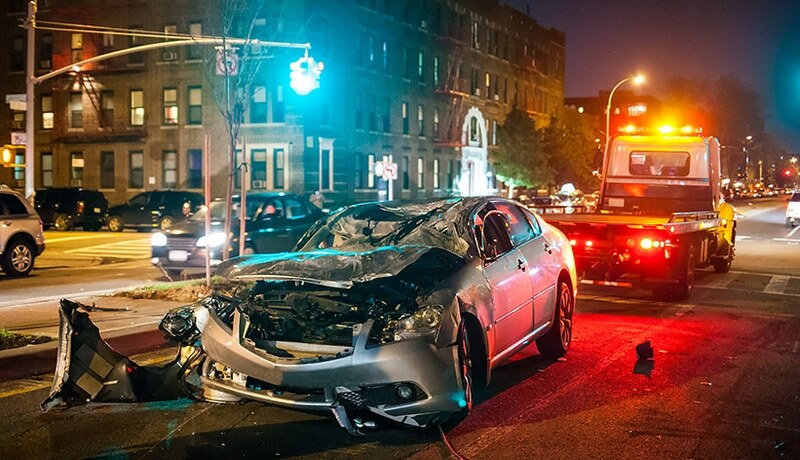 At Warren & Kallianos, PLLC, our dedicated drunk driving accident lawyers have a proven track record of success in negotiating and winning maximum compensation for victims of these reckless drivers. NCDOT reports 1,837 drug-related crashes of which 39 were fatal and 1,005 had non-fatal injuries. NBC News reported on the Governors Highway Safety Association (GHSA) study on fatal crashes involving drivers impaired by drugs such as opioids and marijuana reports that 44% of drivers fatally injured in a crash tested positive for drugs, the results of which were up 28% from a decade earlier. In the study 38% had used marijuana, 16% had used a form of opioids and 4% tested positive for a combination of both. The study also found that impaired drivers are also using multiple drugs, and a combination of drugs and alcohol. “Too many people operate under the false belief that marijuana or opioids don’t impair their ability to drive, or even that these drugs make them safer drivers,” said GHSA Executive Director Jonathan Adkins. The GHSA is working with state governments to include marijuana and opioid use in their drunk driving campaigns. Truck drivers in North Carolina and in every other state who hold a commercial driver’s license are held to a higher standard regarding driving and alcohol consumption. The Federal Motor Carrier Safety Act considers a truck driver with a CDL to be driving under the influence with a blood alcohol content of .04, which is half the .08 BAC required for a DUI for any other North Carolina. Truck drivers are professionals, and subject to the federal regulations that govern commercial drivers’ licenses. Trucking companies are responsible for the conduct of their employees while they are on the clock. If a truck driver causes a crash because he or she was drunk, the injured party can also hold the trucking company responsible for the damages from the crash. Federal law requires trucking companies to conduct blood and alcohol testing immediately following a truck accident (within two hours) where there were injuries or a fatality. The NHTSA reports that there were 5,286 motorcyclists killed in traffic crashes in a single year. Motorcycle riders involved in fatal crashes were found to have the highest percentage of alcohol-impaired drivers than any other vehicle types (25% for motorcycles, 21% for passenger cars, 20% for light trucks, and 2% for large trucks). Motorcycle riders who were killed in traffic crashes at night were three times more frequently alcohol-impaired than those killed during the day. Drunk drivers: This is the most common party to be held liable for drunk driving crashes. Even if the drunk driver died in the crash, you can still pursue compensation through his or her liability insurance and estate. Businesses: If a restaurant, bar, or other establishment was negligent in selling alcohol to a minor, and the drunk minor caused your crash, you can pursue damages under what’s known as North Carolina Dram Shop law. Social hosts: If a person who was hosting a party negligently served alcohol to a clearly intoxicated guest while knowing that the guest planned to drive home, you can pursue damages from the host. Unlike North Carolina’s Dram Shop law, this applies to cases involving drunk drivers of any age. Although drunk driving cases can seem straight forward when it comes to proving who is at fault, the insurance company may try to pin some of the blame on you. That’s because North Carolina follows the law of contributory negligence, which means that if you are found to be even partially at fault for the accident, you may not be able to recover any compensation for your injuries or damages. If you have lost a family member in a drunk driving accident, our compassionate wrongful death attorneys can determine what types of compensation you may be able to pursue to help ease the burden of your loss. Our Charlotte drunk driving accident attorneys will want to begin gathering evidence in your crash as soon as possible. The longer you wait to contact an attorney, the more likely it is that important evidence in your case may disappear before it is recorded or secured. As we meticulously collect all the pieces of evidence in your case, we will begin to form a narrative of what happened and who should be held responsible. In addition to gathering evidence to prove who is at fault for the crash, our team will compile your health care records and work with medical experts to document and evaluate the extent of your injuries. This will help us determine how much your case is worth. Our compassionate Charlotte drunk driving accident lawyers feel a special sense of duty to protect the victims of these types of crashes. We go above and beyond to hold the at-fault parties accountable and demand maximum compensation for our injured clients. If you or a family member has been injured by a drunk driver, you should know that you have rights beyond the criminal charges the person may be facing. However, there are time limits on how long you have to file a civil case after a car accident. So it is important that you speak with one of our skilled car accident attorneys as soon as possible to get started on your claim. After a drunk driver hits you, the insurance company may contact you to try to settle the claim quickly before you have time to talk to a lawyer. Do not sign your rights away. You will have the opportunity to discuss all your options and figure out what is best for you when you consul with our experienced Charlotte drunk driving attorney at Warren & Kallianos. You are welcome to call 704-275-5593 or fill out our contact form now to get started. You do not need to worry about paying us any fees upfront to start working on your case. Instead, we only get paid if we secure compensation for you.